Have the money automatically deducted from your paycheck. It truly is as simple as out of sight, out of mind. If you don’t see the money every week, you are not going to feel the pain of having it automatically deducted to your savings account. Because it is automatically going there, you don’t have to rely on your own self-discipline either. Simply fill out a form at the payroll office and the money will probably begin to be deducted in the next pay cycle. Bank your income tax refund. In 2012, the average tax refund was $2,716 (IRS). Instead of mindlessly spending it, bank that tax refund in your emergency fund. If you don’t have any money set aside yet, this could be a good start to your emergency fund, or it could provide a nice boost to an existing emergency fund. Save your change. This may sound trivial, but saving your change is another painless way to save. Simply throw it in a jar and watch it build up. Depending on how frequently you use cash, over the course of a year, you could have several hundred to up to a thousand dollars in change. Bank your little windfalls. We all have unexpected windfalls. Perhaps you get an unexpected bonus at work or you get a refund or cash back from your credit card rewards. Whatever extra, unexpected money you receive, put it in the best savings account online. You may be surprised how quickly this can add up. Cut your expenses or find cheaper alternatives. Maybe you spend $200 on groceries a week. Try switching to two meatless meals a week and save the difference in your grocery bill. If you save $20 a week, put that money in your emergency fund. If you are getting full cable, do you really need all of those channels? Maybe you could cut back on the channels you receive and save the difference. Make money doing something you enjoy. Perhaps you have a knack for writing. Why not secure a few freelance writing jobs? All of the money you make from your side job can go toward funding your emergency fund. With dedication and creativity, following these steps and other ones you can think of, you could build a substantial emergency fund over the course of a year. 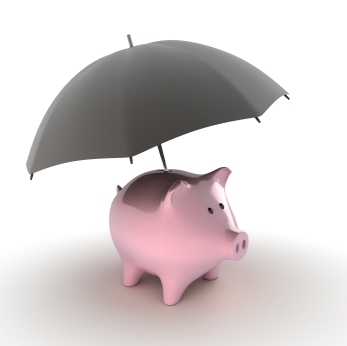 Most experts now recommend an emergency fund of 3 to 6 months’ living expenses, so following these steps may not get you all the way to a full emergency fund, but they will help you achieve a significant emergency fund and avoid being one of the 50% of Americans who can’t come up with $2,000 in 30 days in case of an emergency. Can You Live a Cash Only Life?